Hello Reader! Are you A Rock Fan? Love Action and or Just like Hercules? Well hey this one is for you. Check the news below. 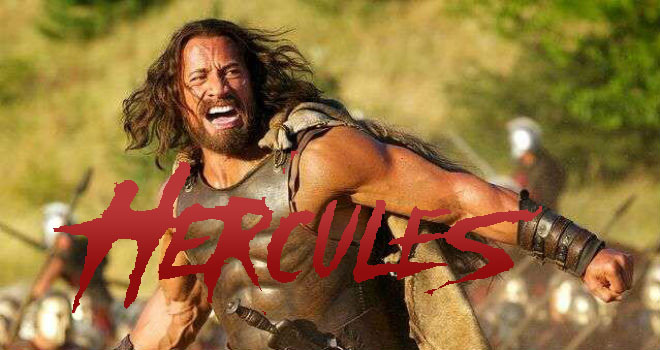 Hercules trailer throws its big sword on-line. The trailer is loud and cool with great sound that makes you pumped up for this film. Not gonna lie but I do want to see this, the trailer is cool but doesn’t show much as it’s just teasing us. Hercules stars Dwayne Johnson, John Hurt, Ian McShane and is due to rock Big Screens on July 25, 2014. Plot: Fourteen hundred years ago, a tormented soul walked the earth that was neither man nor god. Hercules was the powerful son of the god king Zeus, for this he received nothing but suffering his entire life. After twelve arduous labours and the loss of his family, this dark, world-weary soul turned his back on the gods finding his only solace in bloody battle. Over the years he warmed to the company of six similar souls, their only bond being their love of fighting and presence of death. These men and women never question where they go to fight or why or whom, just how much they will be paid. Now the King of Thrace has hired these mercenaries to train his men to become the greatest army of all time. It is time for this bunch of lost souls to finally have their eyes opened to how far they have fallen when they must train an army to become as ruthless and blood thirsty as their reputation has become.